Are LED Grow Lights Good for Orchids? With advancements in technology, it is possible to grow different types of orchids under artificial lights. It is true, artificial lighting, if used correctly can work better than keeping orchids on a windowsill. Using artificial lighting allows you to have complete control over the type of light, the amount, and the intensity. The best part about artificial lighting is that even the rooms you thought could not support an indoor grow can be transformed into indoor greenhouses. You can convert a walk-in closet, attic, or even cellars into the orchid growing sanctuary. However, you need to ensure that you choose the right option, because the wrong choice can lead to higher electricity bills and equipment charges. When it comes to growing orchids indoors, the best lighting solutions are LED grow lights, especially for low or medium-light orchids. Note that even orchids that require high light intensity light can grow well under G8 LED lights because they replicate the exact intensity like sunlight. Today, LED grow lights stand out as an emerging technology that you can use to grow the best orchids indoors. 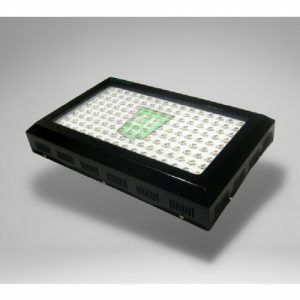 Compared to other lighting solutions, they are more energy efficient. 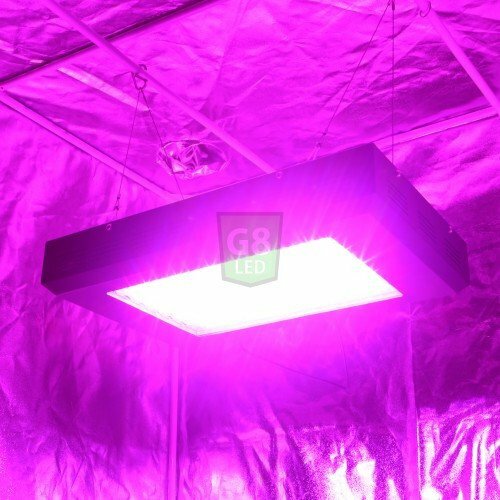 In comparison to other lights such as metal halide and fluorescent grow lights, as well as high-pressure sodium lights, LEDs will save about 50-60% on your electricity consumption in the grow room. 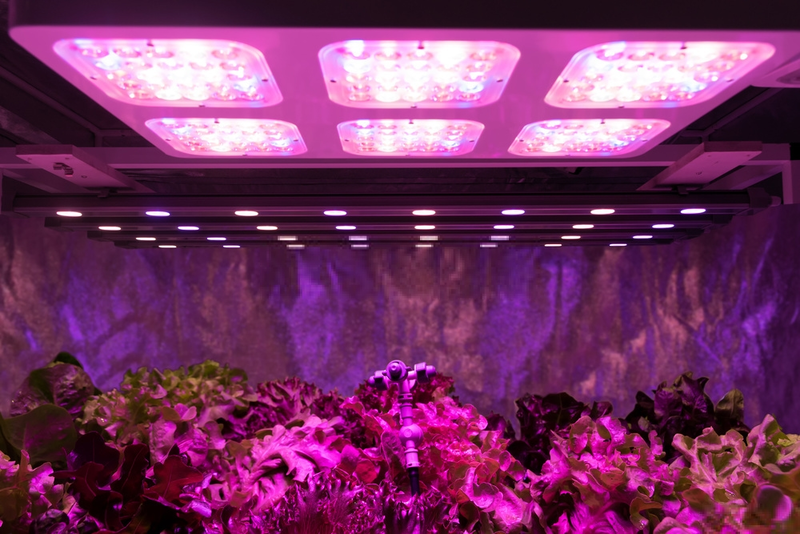 Also, you will not have to change bulbs every couple grows because G8 LED grow lights can last for many years. Although the initial installation costs may be more, the long-term benefits and savings far outweigh any upfront costs. The significant energy savings often come from a cut down in the heat output, which is useful if you have concerns about keeping the plants in a cool area. G8 LED grow lights are especially suitable for species like Masdevallia, Pleurothallis and other similar types of orchids. For orchids, it is advisable that you use full-spectrum Dorm Grow lights, which are some of the most effective indoor grow lights available. Unlike fluorescent grow lights, G8LEDs do not contain any mercury. Hence, you shouldn’t worry about any form of environmental damage. They have quite a long life span of 8-12 years. Note that the more energy efficient they are, the more the ecological benefits they offer. They reduce the energy amount or electricity needed, lower demand for fossil fuel-based power for plants, and reduce emissions of greenhouse gases. The full spectrum LED’s provide plenty of intensity of light to grow a variety of orchids. To grow a variety of orchids, you need to provide the orchids with a good amount of light intensity, often measured in lumens or foot-candles (FC). Low light orchids will require you to receive about 1,000-1,500 FC, whereas the medium light orchids need about 2,500-3,000 FC and the high light orchids often need 3,000-4,500 FC. However, when growing with LED grow lights, the light intensity is by the wattage and PAR values. Around 30-50 watts per square foot is desirable, with PAR values of 800micromoles or higher. During summer, when growing orchids under G8LED grow lights, you will want to provide the lights with at least 14-16 hours of light. In winter months, they will need 12-14 hours of light. Using G8LED grow lights for your indoor orchids will ensure they have the proper energy source to survive and thrive year round.